Rapid EMT Academy is a fully accredited training entity through the state of Missouri. We provide training and education in pre-hospital emergency medicine. Our 4 week course is held Monday through Friday from 9 a.m. to 3 p.m. Our 10 week course is held Monday, Wednesday and Thursday evenings from 6p.m. to 10 p.m. 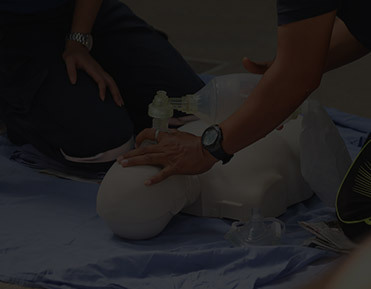 Become fully prepared for State and NREMT exams, BLS certified, and working in the field in less time and for less money than the typical program. All of our instructors have a minimum of 10 years experience in busy ALS agencies, and work in the field as paramedics and flight medics. Paid tuition includes 120 hours of classroom training, EMT book and all associated clinical and lab fees. Be part of one of the greatest professions in the country. According to the Bureau of Labor Statistics, jobs for Emergency Medical Technicians are projected to grow faster than any other profession between now and 2020. Experts expect a 33% growth rate for EMT's. We are honored to have worked with the Washington University Emergency Support Team and provide them with EMT-B training. "Thank you Rapid EMT for providing such a wonderful EMT-B course and for hiring phenomenal instructors. I could not have done this without you all!" 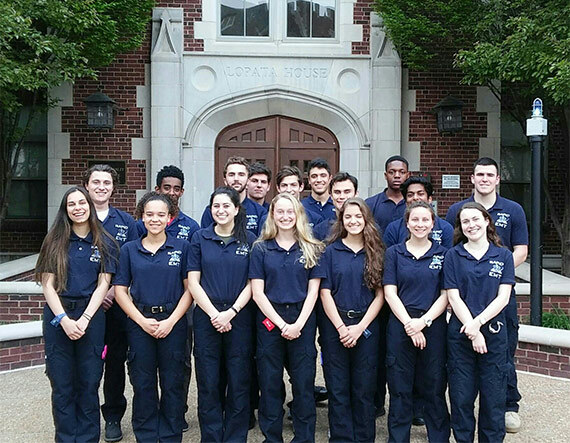 "I would definitely recommend Rapid EMT Academy to anyone looking toward EMS as a career. The hands on experience prepares you for what you are going to see out there." "This class prepares students for real life scenarios so you are ready your first day in the field." "The instructors truly care about the success of every student. They are all very knowledgeable." "It makes me feel honored and proud I went to Rapid EMT. They go over and beyond." "The instructors were enthusiastic and encouraging while teaching. They taught us what to do in real life situations and built confidence."